While the origin of the “People’s Tree” varies each year, there’s one city that glows in its stature every year: our nation’s capital. Along with the 2.6 million residents of the Washington Metro area, Amramp Northern Virginia celebrates the season with the 2011 tree. The 65-foot white fir from Stanislaus National Forest in Northern California traveled more than 4,000 miles and made 20 stops. At each Capitol Tree event across the country, attendees used an Amramp ramp to access the platform where they could leave a note or an ornament. By providing ADA-compliant ramps, Amramp, America’s leading wheelchair ramp and mobility solutions provider, is proud to ensure that everyone of all abilities can participate in this national tradition. Like many in the Amramp family, Amramp Northern Virginia owner Michael Meyer welcomes the tree to his service area. With a fully stocked warehouse just off I-66, Mike installs wheelchair ramps and portability solutions throughout Northern Virginia and the District of Columbia, generally within 48 hours. “The People’s Tree” will be decorated with ornaments from its home state, California, in time for the tree lighting ceremony Dec. 6 at 5 p.m. on the Western lawn of the Capitol Building. Johnny Crawford, 7, of Sonora, Calif., will join Speaker of the House John Boehner to light 10,000 environmentally friendly LEDs. Architect of the Capitol Stephen T. Ayers will serve as master of ceremonies with music by the U.S. Navy Band Washington D.C. Ceremonial Brass. The tree will thereafter be lit from nightfall until 11 p.m. each evening through Jan. 1. Every year since 1970, a different U.S. state has been chosen to provide the Capitol Christmas Tree. The Capitol Tree Celebration began in 1964, with a Douglas fir that was planted on the grounds at the Capitol Building. The tree suffered root system damage during a storm in 1967 and later died. After a few years of Maryland trees, the decision was made to bring in a new tree from a different state each year, which would be viewed as a gift from that state. The United States Forestry Division carefully chooses candidates from a national forest within that state, and the Architect of the Capitol then picks the “winner” from the group. Visit www.capitolchristmastree2011.org for more information about the nation’s Christmas tree and related events. 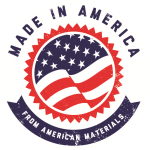 For more about Amramp’s Made-in-the-U.S.A. products and free on-site estimates, please contact Amramp’s National Call Center at 888-715-7598.